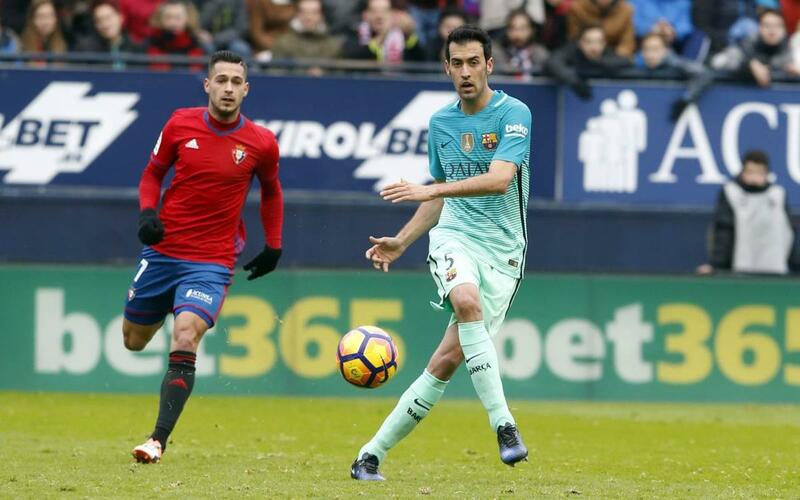 After the injury picked up on Sunday in Ipurua in the 4-0 victory over Eibar, Sergio Busquets has undergone tests to find out the exact extent of the problem. The midfielder left the field on a stretcher in the 8th minute of the first half after a challenge from Nicolás Escalante. Results on Monday confirm that Busquets has a sprained external lateral ligament in his right ankle. The player is out and his return will depend on his recovery. This season Sergio Busquets has played 27 of Barça’s 32 games, showing just what an important part of Luis Enrique’s squad he is.